Native to the Himalayas, Skimmia anquetilia is a small evergreen, frost-hardy shrub of open habit, and noted for its decorative fruits and bright pink flowers. The first recorded introduction of this species to English cultivation was in 1841 when British botanist Dr Royle (1798 – 1858) sent seeds to the Horticultural Society at Chiswick. 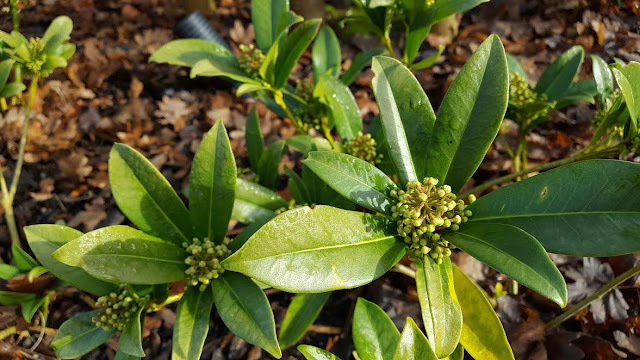 Previously and incorrectly known as Skimmia laureola, it is now correctly named and described in 1980 by British botanists Nigel Paul Taylor (born 1956) and Herbert Kenneth Airy Shaw (1902 – 1985). Under favourable conditions you can expect Skimmia anquetilia to grow to no more than approximately 2m. Strangely, individual seed-grown specimens can display a prostrate habit which have an overall height of just 30cm. 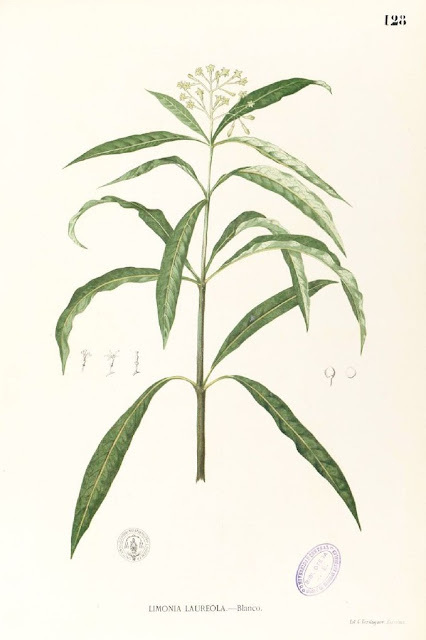 The leathery, pale yellow-green leaves are oblanceolate, taper-pointed and approximately 7.5-15 cm long. A member of the family Rutaceae, they will emit a strong pungent smell when crushed. The terminal clusters of greenish-yellow flowers are unpleasantly scented and small in relation to the size of the leaves. These blooms are borne in the spring. Once pollinated, and on female forms only, these are followed by dull red fruits. Skimmia anquetilia is tolerant of shade and an excellent choice for coastal gardens and industrial regions. Plant in a moist, free-draining soil. It will perform best in a humus-rich, acidic soil. Skimmia anquetilia received the Award of Merit from the Royal Horticultural Society in 1977.